Traditional dental restoratives, or fillings, may include silver or white filling materials. For larger cavities, crowns may be used. Crowns are “cemented” onto an existing tooth and fully cover the portion of the tooth above the gum line. In effect, the crown becomes the tooth’s new outer surface. Crowns are regarded as a good temporary restoration to save a primary tooth until the permanent tooth can erupt and take its place. Keeping the primary tooth if at all possible is critical. 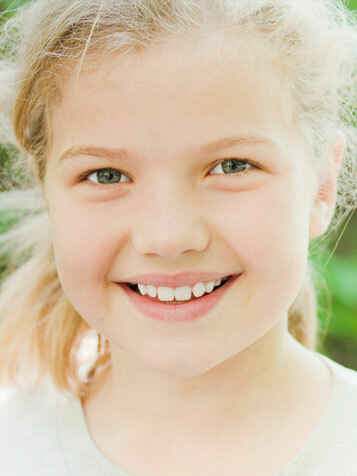 A primary tooth can be restored with a crown during one appointment. A crowned tooth must be brushed and flossed just like other teeth. The strength and durability of traditional dental materials continue to make them useful for situations where restored teeth must withstand extreme forces that result from chewing, such as in the back of the mouth. Before your child’s treatment begins, Dr. Leila will discuss all the options and help you choose the best filling for your son or daughter’s particular case.